An imagined hybrid. Now in his early 70s, Chan has been making comics in his native Singapore since 1954, when he was a boy of 16. As he looks back on his career over five decades, we see his stories unfold before us in a dazzling array of art styles and forms, their development mirroring the evolution in the political and social landscape of his homeland and of the comic book medium itself. a startlingly brilliant tour de force ... At once dizzyingly meta and deeply heartfelt, the book spans 80 years and in its complicated layering remind me of everything from Maus and The Tin Drum to, believe it or not, Ulysses ... Liew himself creates them all, both naive and sophisticated, with dazzling virtuosity. Man, can this guy draw ... probably the greatest work of art ever produced in Singapore. [Liew is] a master of basically any style of cartooning—from Pogo-style funny animals to Mad Magazine satire to commercial caricature to wartime adventure to gekiga manga. The result is a multilayered masterpiece of comic-book and real-world history, a portrait of the postwar world made in a thrilling postmodern style. It’s funny and rich and satisfying, and one of the best comics of the year. [Singapore's] progress has had costs as well as benefits. 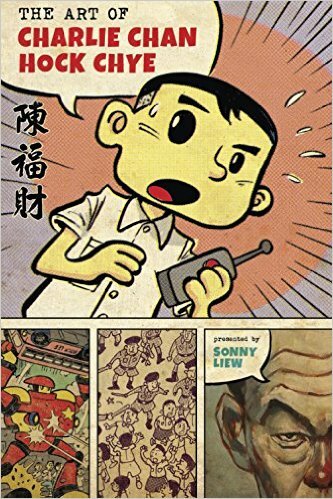 Sonny Liew’s brilliantly inventive The Art of Charlie Chan Hock Chye weighs those costs and benefits. Graphic novelists have made a mark in politics: Marjane Satrapi with Iran and Joe Sacco with Palestine are two of the most admired. The latest experiment in political storytelling through graphic art explores Singapore’s history through the career of Charlie, a fictional cartoonist, which begins in the mid-1950s when Singapore was still a British colony. 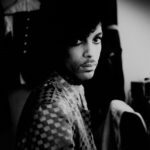 The book is a series of interviews with Charlie, beginning in 2010, when he is 72 years old. Charlie is mild but steel-spined, observant and proud; with masterful economy of detail—an arched eyebrow here, his head at a resigned angle there—Mr Liew crafts him into a fully realised character. What did you think of The Art of Charlie Chan Hock Chye?